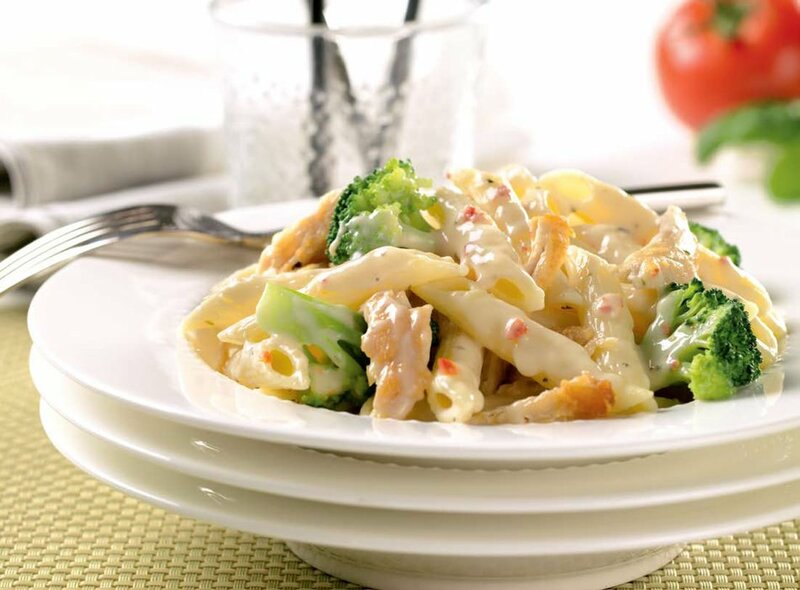 This lactose free meal makes perfect use of leftover steamed broccoli and cooked chicken. You’ll love being able to utilize leftovers in this healthy dish, saving both money on groceries and time spent in the kitchen! And Cabot Tomato Basil Cheddar adds a delightful twist on this classic chicken and broccoli penne dish. Share the recipe on Facebook, Pinterest, Instagram, and Twitter with family and friends. Cook the penne in a large pot of boiling salted water according to package directions. Add in the broccoli during the last two minutes of cooking time. Reserve ½ cup of cooking water and then drain the penne and broccoli in a colander. Return the pot to the stove to heat, adding the olive oil and minced garlic, stirring for about 10 seconds. Add the drained penne and broccoli, reserved cooking water, and salt. 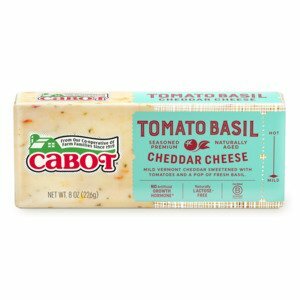 Remove the pan from heat, add the shredded cooked chicken and Cabot Tomato Basil Cheddar cheese, stirring until cheese is melted. It’s that simple! Quick, easy, healthy, and delicious – what more could you ask for? For another delicious chicken and pasta meal, try this recipe for Bow Ties and Chicken Confetti. Cabot is a co-operative of over 800 farm families, bringing many years of experience to make only the best products for you and your family. We’d love to hear your feedback on this chicken and broccoli penne recipe, so please rate and review it when you have the chance! COOK penne, in large pot of boiling salted water, according to package directions, adding broccoli for last two minutes of cooking time. REMOVE ½ cup of cooking water and set aside. Drain penne and broccoli in colander. RETURN pot to heat and add oil and garlic; stir until fragrant, about 10 seconds. Add drained penne and broccoli, reserved cooking water and salt. REMOVE pan from heat and add chicken and cheese, stirring until cheese is melted. This is a very easy dish to make; although I doubled the amount of the Tomato Basil Cheddar to make a stronger flavor.